Brian Perkins grew up in the Seattle area dreaming of driving an unlimited hydroplane like his boyhood heroes. It was a dream that was more realistic than for most because his family was active in the sport. He grew up around Seattle’s Stan Sayres pits every summer while his parents were involved as volunteers for Seattle’s Seafair race. That familiarity with the boats led to him becoming a helper on the crew of Bill Wurster’s U-8 LLumar Window Film when he was only 15 years old. 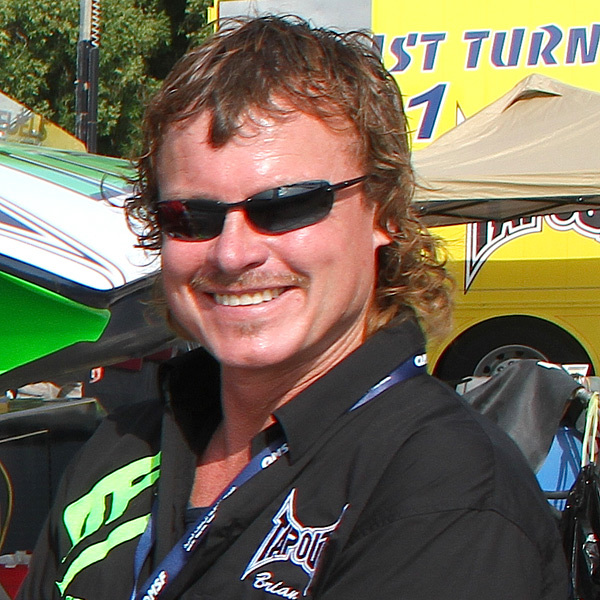 Known by some as “Perky,” his debut behind the wheel of an H1 Unlimited hydroplane came in 2007 when he drove the U-21 Meyers’ Auto Tech, a new boat that was campaigned by the Freedom Racing Team of San Diego. The hull was later purchased by Brian and Greg O’Farrell and is the same boat that Perkins has driven for the past seven seasons. 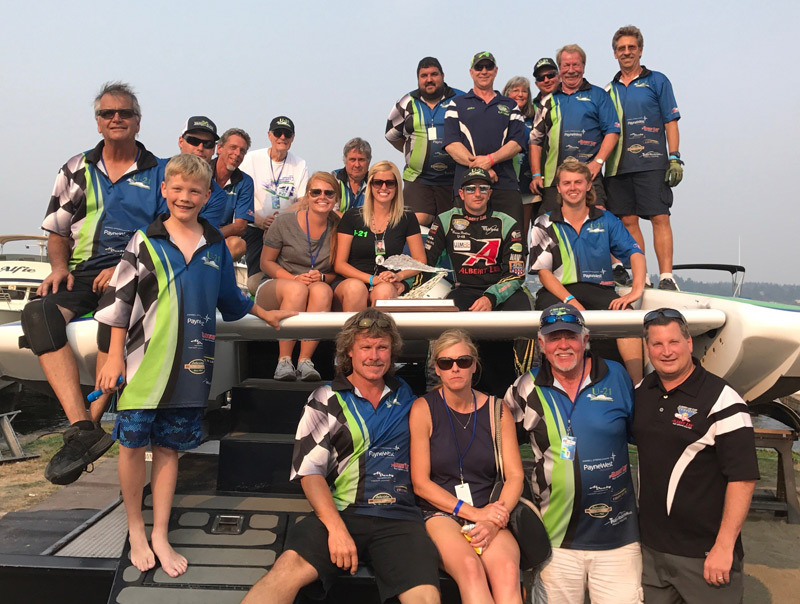 Driving for O’Farrel’s Go Fast, Turn Left Racing Team, Perkins has scored podium finishes at the Tri-Cities Columbia Cup (2008); Seattle’s Albert Lee Cup (2010); Detroit’s Gold Cup (2015); Madison Governor’s Cup and Seattle (2016); and in Seattle again last year. Now driving for his eleventh year, his six podium finishes do not include a championship win. That however is Perkins goal this season. 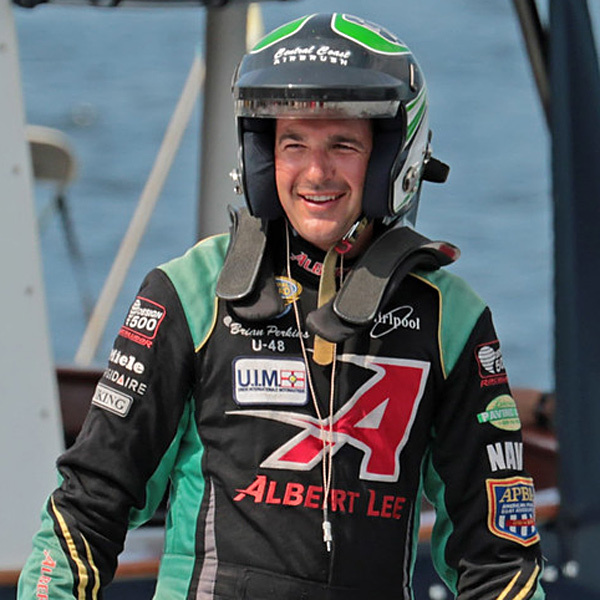 His first experience behind the wheel of a hydroplane came in 2002 when he drove in a friend’s 2.5-litre inboard hydroplane. It wasn’t long before he became well-known in local inboard hydroplane racing circles driving boats that carried the name of the family business: Perkins Glass, the oldest glass company in the Seattle area (founded in 1906). Aside from the racecourse, one of his greatest accomplishments, he says, came in 2011 when he was driving the boat in San Diego. That’s when he met Erin, who was working as an animal trainer at Seaworld. The two are now married and live in North Bend, Washington, with their two dogs (Dixon and Embry). The 33-year-old Perkins works at the family glass company. In his free time, Perkins enjoys recreational boating, especially in the San Juan Islands in Washington. 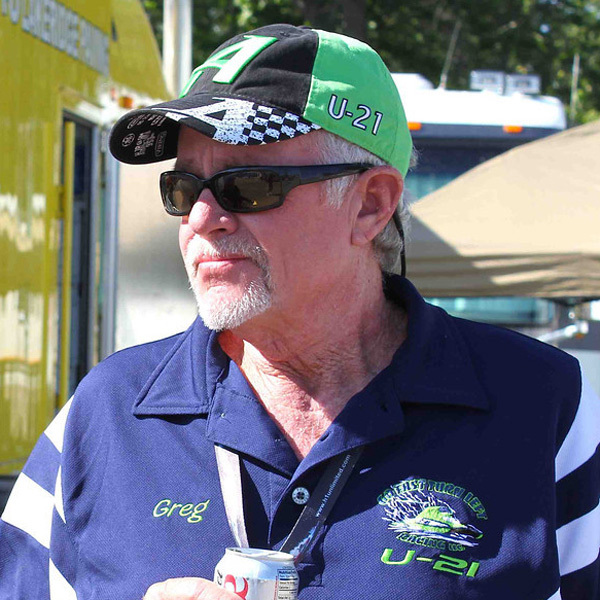 Encouraged by the success of sponsoring a boat, Greg stepped up and bought two Leland hulls including “Lucky.” With Brian Perkins behind the wheel, the U-50 “Spirit of the Navy” made every final heat on the eastern circuit and the team garnered the respect of everyone in boat racing. Not content to sit back, Greg and Brian O’Farrell commissioned Dale Van Wierengen to build a “state-of-the-art” unlimited, debuting in 2012. While unlimited racing is a family activity for Greg and Brian O’Farrell, make no mistake, these two are intent on making it to the top of the sport. Each year, Go Fast Turn Left Racing has improved, and finished 2nd place in the 2014 Detroit Gold Cup. But the next stop on the circuit proved to be a huge setback. While racing to make it into the Final Heat in Tri-Cities, driver Jamie Nielsen blew over the U-21, suffering major structural damage and retiring the boat for the remainder of the 2014 season. Go Fast Turn Left finished the season garnering points from the Schumacher Racing U-37 hull, renamed the U-21 for San Diego and Doha. The 2018 U-21 hull remains under construction at the team’s base in Maple Valley,WA and is scheduled to be ready for the 2018 campaign. 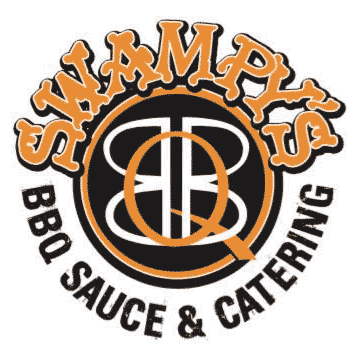 SWAMPY’S BBQ SAUCE and Catering is a family owned business, with a history that goes back over 35 years and a vision to sweep great flavor across the U.S.
Lakeridge Paving is a well-established paving company with its headquarters located in Covington, Washington. For more than 40 years Lakeridge Paving has been paving the way to a professional reputation that it maintains not only in quality workmanship but in all of our employees. We have over 70 employees that are the heart of the company. Everyone here at Lakeridge from our office staff to the crews that work out in the field function like a well-oiled machine. The experience of our team allows us to provide superior service for our customers from the major contractor to small private driveways. We are a locally owned and operated facility and we consider our whole staff part of the family. The majority of our employees have been with Lakeridge for 20 or more years. We treat our people right and they extend this fair treatment to our customers no matter how big or small. 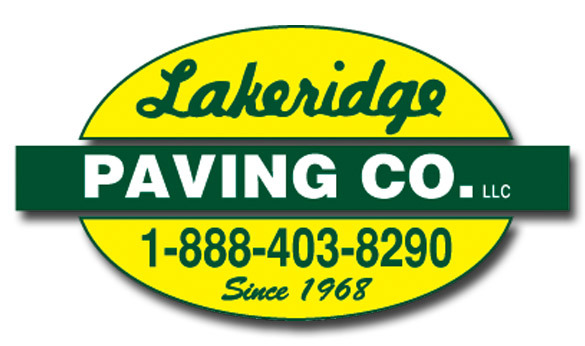 An excellent end result, with reasonable fair pricing, is what all of us here at Lakeridge Paving strive for. We warranty all of our work and can service all our customers paving needs in the greater Puget Sound area extending from Bellingham to Olympia and from Cle Elum to Hood Canal. Give us a call we look forward to servicing your family or business through ours. 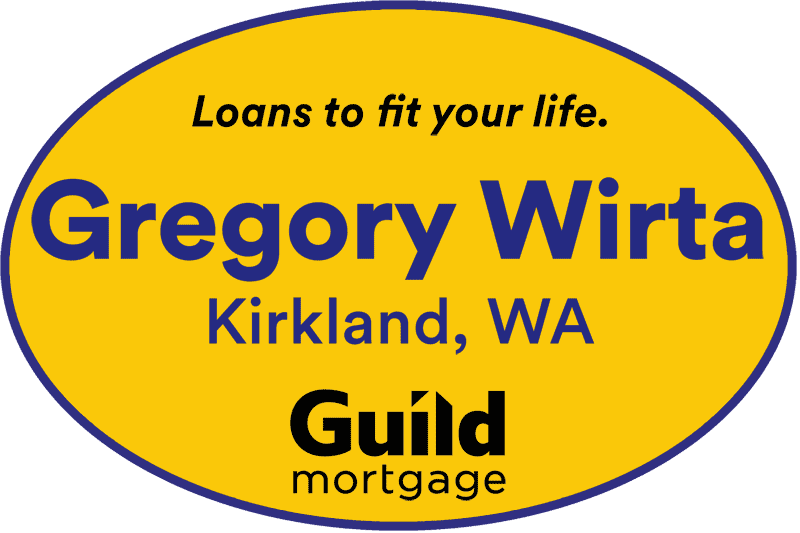 Whether you’re buying a new home or are looking to refinance, Gregory Wirta – Guild Mortgage is your trusted mortgage lender, offering excellent services for experienced or first time homebuyer. I am your premier mortgage specialist, ready to assist with unparalleled service and expertise. From home loans to home refinancing to down payment assistance, I will provide you with honest and unmatched help that will allow you to achieve a peace-of-mind regarding your all your home mortgage activities. I am a local relationship based mortgage consultant who focuses on providing each client with the highest level of assistance and customer care. With over 14 years of experience in mortgage loans under my hands, my knowledge of the industry partnered with my personalized service will help you close any deal with ease. I come equipped with the latest technology, best rates, and the most flexible lending programs designed for every borrower in mind. Gregory Wirta – Guild Mortgage’s goal is to provide the highest level of personalized service in the industry, treating each client like family. I offer the utmost respect, trust, dedication, integrity, and a commitment to exceeding the expectations of my customers and strive to achieve complete customer satisfaction for every mortgage or refinance service. I provide care to my clients not only during the home purchasing process but also continue to stay in touch after the loan has closed. To acquire the assistance of the highest rated mortgage advisor in town, please contact me at my loan agency today!